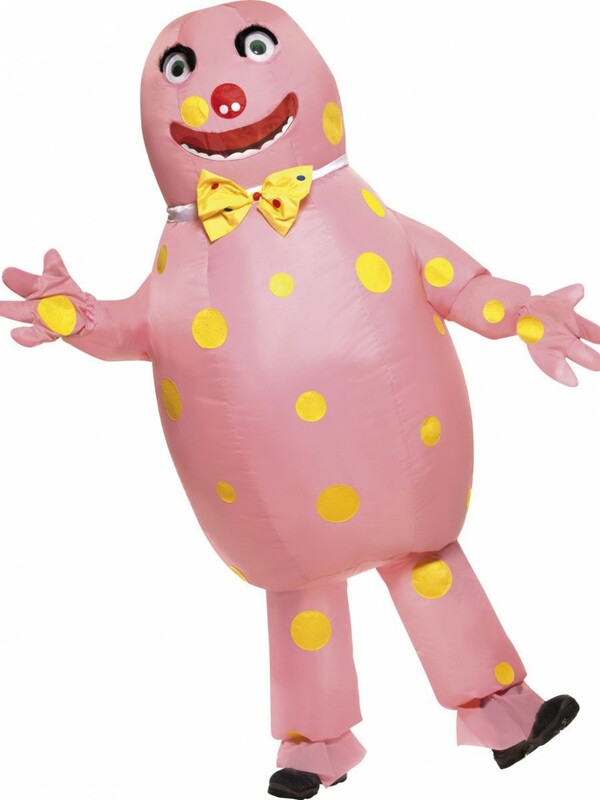 This fun licenced Mr Blobby Costume is ideal for TV/1990s/Character inspired fancy dress costumes. The contents of the costume are Inflatable Suit and Gloves. 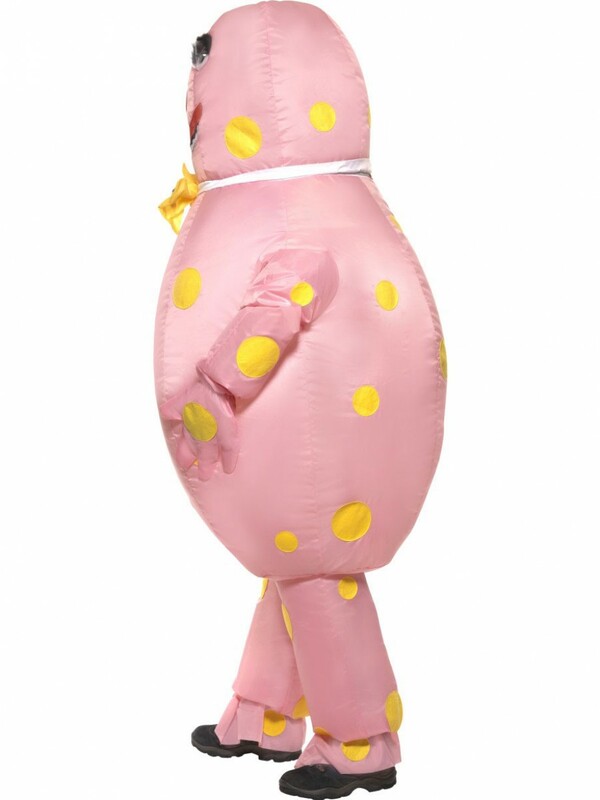 Be sure to turn heads with this fabulous Mr Blobby Costume, perfect for 90s/Character/Comedy themed fancy dress, included in the costume is Inflatable Suit and Gloves. The pink inflatable suit is battery operated and has a yellow polka dot spotted front. The head of the costume is has googly eyes with red mouth and nose detailing to stand out. Also included on this fun outfit is a yellow spotted bow tie which is attached to the inflatable suit. The trouser section of the suit has a frilled flare bottom. The finishing touch to this remarkable costume is the pair of pink gloves which have one big yellow spot on the palms. There is no other way to be the centre of attention at any fancy dress party, than to wear this brilliant Mr Blobby Costume. ?? 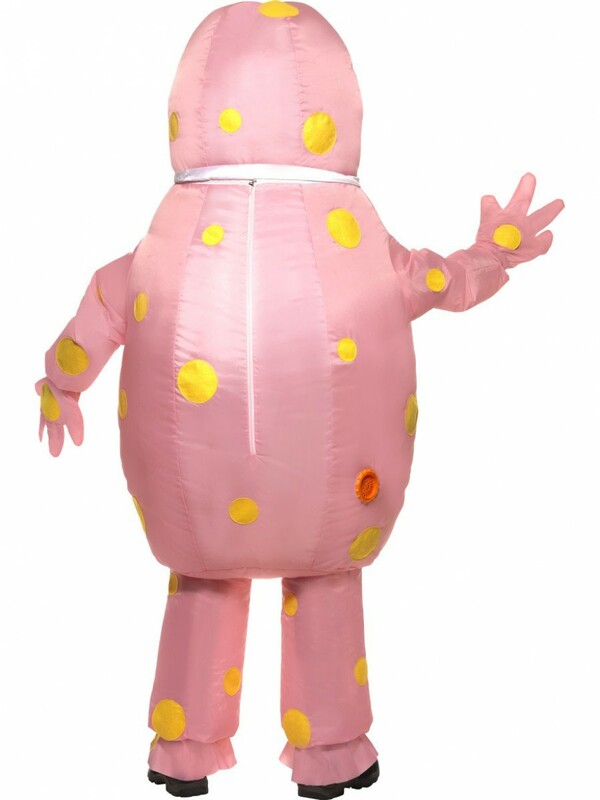 This great licenced Mr Blobby Costume is perfect for any 1990s/Icon/Character themed fancy dress occasion, also perfect for Children’s birthday parties! Mr Blobby Costume including Inflatable Suit and Gloves.